Joanie Mahoney was nominated by Governor Andrew M. Cuomo, and confirmed by the New York State Senate as a member of the Thruway Authority Board on March 30, 2015. Ms. Mahoney will serve in a term that expires on January 1, 2020. Joanne M. (Joanie) Mahoney was first elected Onondaga County Executive in November 2007, and is the first woman to serve in that role. She was re-elected in November, 2011. Among her many accomplishments as county executive, Ms. Mahoney has focused on increasing literacy, ensuring that all students receive an education that prepares them for successful lives, and protecting the environment. Ms. Mahoney has shown a strong commitment to working collaboratively with her government partners. In 2010, then Governor-elect Andrew Cuomo asked County Executive Mahoney to serve as co-chair of his transition team and in 2012, he appointed Ms. Mahoney to serve as a trustee for the New York Power Authority. In the aftermath of Superstorm Sandy, Governor Cuomo asked County Executive Mahoney to help investigate New York’s power utilities’ preparation and response to the major storms that devastated communities across New York State in recent years. A Syracuse native, Ms. Mahoney graduated from Corcoran High School, and then from Syracuse University's School of Management and S.U. 's College of Law. After spending time in private practice, Ms. Mahoney worked for five years as a criminal prosecutor in the District Attorney’s office before being elected Councilor-at-Large in the City of Syracuse, where she served a four year term. Ms. Mahoney and her husband Marc Overdyk have four sons and reside in the town of Dewitt, New York. Don Rice was nominated by the Governor and confirmed by the New York State Senate as a member of the Thruway Authority Board in May 2010. His term will expire on June 13, 2018. Mr. Rice is founder and Chief Executive Officer of Rice Financial Products Company, a New York City-based investment banking firm. Mr. Rice formed Rice Financial in 1993 to provide services to municipalities and not-for-profit institutions in debt structuring and underwriting; municipal bond sales and trading; and taxable fixed income investing. Over the years, Rice Financial has grown into a leading municipal investment banking firm and has served as senior manager on transactions as large as $1 billion. Mr. Rice's began his career as an engineer at General Motors. Later, he joined the bond business at Merrill Lynch where he was one of the founding members of Merrill Lynch's municipal derivatives department, which in the late 1980s developed methodologies for applying interest rate swap concepts to the municipal markets. There, and later at Rice Financial, he was responsible for developing some of the industry's most innovative and successful financing structures. 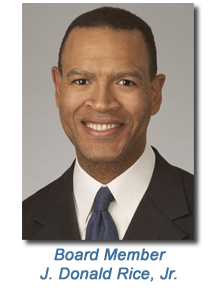 Mr. Rice has served on the Board of Trustees for Kettering University (where he chaired the Finance Committee), the Board of Directors for New York City's United Neighborhood Houses, and the Governing Board for New York City's Administration for Children Services, Office of Head Start, which oversees the New York City Head Start programs. He has received numerous awards and honors including Entrepreneur of the Year by the National Association of Securities Professionals. Mr. Rice received an MBA with distinction from Harvard Business School and a B.S. in Engineering with honors from Kettering University. He resides in New York City. Dr. Holguín-Veras was nominated by the Governor and confirmed by the New York State Senate as a member of the Thruway Authority Board in May 2010. His term will expire on December 12, 2018. Dr. Holguín-Veras is the William H. Hart Professor and Director of the Center for Infrastructure, Transportation, and the Environment at Rensselaer Polytechnic Institute. He joined Rensselaer in July 2002. Dr. Holguín-Veras has also been in the faculty of the City College of New York (1997-2002), and the California Polytechnic State University in San Luis Obispo, California (1996-1997). He has extensive professional experience including the analysis of the intermodal alternatives for the trans-isthmian corridor that runs parallel to the Panama Canal. He has been consultant in transportation planning, modeling, and economics for international companies and financial institutions, including: The World Bank, The United Nations, The Inter-American Development Bank, among many others. Dr. Holguín-Veras’s leadership positions at key international research organizations include: Vice President for logistics of the Pan-American Conferences of Traffic and Transportation Engineering; elected member of the Council for the Association for European Transport; member of the International Organizing Committee of the City Logistics Conferences; member of three technical committees and invitational Task Forces on freight modeling at the Transportation Research Board. In addition to authoring dozens of articles on transportation modeling and economics, Dr. Holguín-Veras received several awards: the Milton Pikarsky Memorial Award from the Council of University Transportation Centers (1996); the CAREER Award from the National Science Foundation (2001); and The School of Engineering Excellence in Research Award (2007). Dr. Holguín-Veras received a bachelor’s of science degree in civil engineering from Universidad Autonoma de Santo Domingo; master’s of science degree in Transportation from Universidad Central de Venezuala; and a doctoral degree in transportation from University of Texas at Austin. Bob Megna currently serves as the Senior Vice President for Finance and Administration at Stony Brook University. Previously, Mr. Megna served as executive director of the New York State Thruway Authority from 2015 to 2016. Prior to joining the Thruway Authority, Mr. Megna served for six years as director at the New York State Division of the Budget. In that position, he was responsible for the overall development and management of the state's fiscal policy, including overseeing the preparation of budget recommendations for all state agencies and programs, economic and revenue forecasting, tax policy, fiscal planning, capital financing and management of the state's debt portfolio, as well as pensions and employee benefits. Mr. Megna previously served as commissioner of the New York State Department of Taxation and Finance, responsible for overseeing the collection and accounting of more than $90 billion in state and local taxes, the administration of state and local taxes and the processing of tax returns, registrations and associated documents. He was previously head of the economic and revenue unit of the state Division of the Budget where he was responsible for state budget revenue projections and the development and monitoring of the state financial plan. He holds master's degrees in public policy from Fordham University and economics from the London School of Economics. 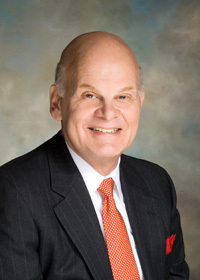 Mr. Saland represented the 99th District in the New York State Assembly between 1980 until 1990, and served as New York State Senator for the 41st District from 1990 to 2012. He chaired several committees during his time as a state senator, including the Senate Children and Families Committee, Education Committee and the Codes Committee, and he is also a past-President of the National Conference of State Legislatures. Mr. Saland has been a featured Brookings Institute speaker and was appointed by former U.S. Attorney General Reno to the Working Group on Federalization of Criminal Law. He holds a Bachelor of Arts degree from the University of Buffalo and a Juris Doctor from Rutgers Law School. George Miranda currently leads the Teamsters in New York as President of Joint Council 16, a union of 120,000 workers in downstate New York. Prior to serving as the President, Mr. Miranda has held numerous positions within the Teamsters in the succeeding decades, from organizer to International Vice President. In addition to his role as Joint Council President, Miranda serves as the principal officer of Local 210, representing employees in the airline, warehouse, pharmaceutical manufacturing, and cosmetic manufacturing industries. For the International Brotherhood of Teamsters, Mr. Miranda is an At-Large Vice President, President of the Teamsters National Hispanic Caucus and Chairman of the Board of Directors for the Teamsters Airline Division. George Miranda is also Chairman of the Board of Directors of the Consortium for Worker Education (a leader in New York City's workforce development sector), and a Vice President of the New York City Central Labor Council. 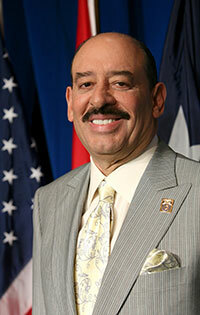 Mr. Miranda is a recipient of several awards including: the Working Families Party "Labor Leader of the Year" award, Teamster Black Caucus "Man of the Year" Award, Teamster Hispanic Caucus "Man of the Year" Award, the "Samaritan Foundations Distinguished Humanitarian" Award, the Instituto Laboral de la Raza "Brother of the Year" Award, and the Teamster National Black Caucus Pioneer Leadership Award. All Board members, including the Chairman, are appointed by the Governor with the advice and consent of the State Senate. The members of the Board receive no salary in connection with the performance of their duties. Vacancies in the Board occurring other than by expiration of the term are filled for the unexpired term in the same manner. Pursuant to the Public Officers Law, members of the Board whose terms have expired continue to serve until a successor is appointed and qualified. On August 22, 2017, Governor Andrew M. Cuomo announced that Matthew J. Driscoll will be nominated for Senate confirmation as Executive Director of the Thruway Authority. On September 8, the Thruway Authority Board named Mr. Driscoll as Acting Executive Director of the Thruway Authority. Mr. Driscoll oversees one of the longest toll systems in the United States, spanning 570 miles across New York State. 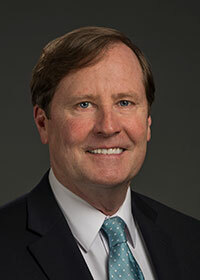 Prior to joining the Thruway Authority, Mr. Driscoll served as Commissioner of the New York State Department of Transportation, leading a department of 8,300 employees with an annual capital program of $3.7 billion. In 2016, he reorganized DOT’s regional offices across the state with an emphasis on accountability, project delivery and communication with local governments. In 2017, he implemented a Critical Project Delivery Team in DOT’s main office focusing on acceleration of project delivery. From 2010 to 2015, Mr. Driscoll served as President and Chief Executive Officer of the New York State Environmental Facilities Corporation (EFC), which provides low-cost financing to local governments for wastewater and drinking water infrastructure. It is the largest and most successful state revolving loan fund in the nation, managing more than $12 billion in assets. In 2013, Mr. Driscoll implemented a new business model at the EFC, creating an improved and more efficient use of financial resources designed to stimulate projects across the state. EFC ended the 2014 fiscal year with more than $2.3 billion in financings and refundings to local governments – the largest single-year total in EFC's history – and New York State led the nation with the largest investment in wastewater infrastructure. On September 12, 2013, Governor Cuomo appointed Mr. Driscoll to the Financial Restructuring Board for Local Governments. The Board delivers targeted restructuring strategies and long-term solutions to assist New York municipalities under fiscal stress. Since 2012, Mr. Driscoll has served as a member of Governor Cuomo's Strategic Implementation Assessment Team (SIAT) to assist in the progress of the Regional Economic Development Council (REDC) initiative. The assessment team conducts a first-hand review of each of the ten region's job creation and economic development efforts. From 2001 through 2009, Mr. Driscoll served as the 52nd Mayor of the City of Syracuse. Elected to two terms, Mr. Driscoll's action plan for energy conservation, sustainability initiatives and environmental protection efforts earned Syracuse the title of "The Emerald City" and recognition by "Popular Science Magazine" as one of the nation's greenest cities (ranked #17). Mayor Driscoll also instituted a performance-based accountability program for city government – SyraStat – which saved millions of dollars for city taxpayers. In addition, he helped make the City of Syracuse the first city in the country to offer free college tuition to every student who graduates with a Regents diploma and led a comprehensive planning and development action plan for downtown and neighborhood housing development. John F. Barr has served as Director of Administrative Services of the New York State Thruway Authority since November 2006. 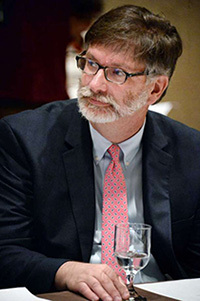 Prior to joining the Authority, Mr. Barr served in a number of positions in his 18 years of service in the State of New York, including Executive Deputy Commissioner at the New York State Department of Civil Service, where he was responsible for merit system administration, recruitment, classification, examination and employee health services. Mr. Barr received his Bachelor of Arts Degree from Hartwick College and his Juris Doctor from Thomas M. Cooley Law School. Mark A. Hixson, P.E. has served as the Director of Maintenance and Operations for the New York State Thruway Authority since May 2017. Mr. Hixson previously served as Deputy Director since January 2008. Prior to assuming his role as Deputy Director, he served as the Thruway's Superintendent of Maintenance from 2003-2008, and previously as Deputy Division Director and Division Highway Engineer in the Authority's Albany Division. Mr. Hixson, a licensed professional engineer, has nearly 34 years of transportation engineering and management experience. He is a graduate of Clarkson University with a B.S. in Civil and Environmental Engineering and received an MBA from Sage Graduate School. Matthew A. Howard was appointed as the Chief Financial Officer of the Thruway Authority in January of 2015. Mr. Howard's career in public service spans nearly 19 years, and includes leadership roles in fiscal management, public policy and public administration. Prior to his appointment, Mr. Howard served as the Secretary to the New York State Assembly Committee on Ways and Means. In this role he worked as a chief budget negotiator for the Assembly during its negotiations with the Office of the Governor and the New York State Senate. Mr. Howard received his undergraduate degree from Springfield College and a master's degree in public administration from Cornell University. Richard Lee, P.E. was appointed Chief Engineer of the Thruway Authority in October 2016. Prior to joining the Authority, he served in a number of positions in both Design and Construction throughout his 34-year career with the New York State Department of Transportation. Most recently, from 2009-2016, he was the Deputy Chief Engineer (Design) and Director of the Office of Design. Mr. Lee graduated from Union College in Schenectady, New York with a Bachelor of Science Degree in Civil Engineering. 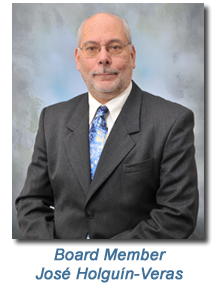 Harry A. Lennon serves as Director for the Department of Audit and Management Services for the Thruway Authority. Prior to this appointment, Mr. Lennon served as Thruway's senior investigator auditor for the Department of Audit and Management Services as well as infrastructure security officer. Before joining the Thruway Authority, Mr. Lennon served as a confidential investigator for the New York State Ethics Commission. Mr. Lennon is a graduate of the University of Scranton. 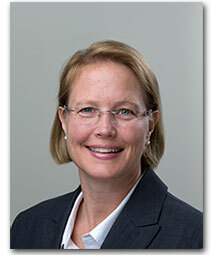 Kim McKinney serves as the Chief Information Officer for the New York State Thruway Authority. Prior to this appointment, she served as the Chief Technology Officer (CTO) for the past two years and has played an integral role transforming the Authority through the use of technology. From 2014 to 2016, Ms. McKinney was appointed to the role of CIO for Transportation and Economic Development for NYS Information Technology Services. In this role, she was responsible for setting strategic direction, technology vision and IT services that supported the business missions of the Department of Transportation, Department of Homes and Community Renewal, Department of Economic Development and Governor’s Office of Storm Recovery. Prior to her role as the Cluster CIO, she was appointed the Chief Operations Officer (COO) for NYS ITS. Prior to joining the state, Kim served as Chief Information Officer and Commissioner of Information Technology for Orange County, NY and Chief Information Officer for Broome County, NY. Prior to working in government, Ms. McKinney worked in the private sector and at Binghamton University. She received her Bachelor of Science from Penn State University and her MBA from Binghamton University.